Create smooth, youthful-looking skin with the StriVectin Anti-Wrinkle Duo Set. Containing a pair of anti-ageing products to reduce the appearance of lines and wrinkles, the kit will help you to create a firmer, brighter and younger-looking complexion. 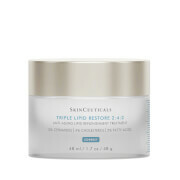 An anti-aging cream that visibly reduces the appearance of fine lines, wrinkles and stretch marks. With its unique Collagex-CE Complex™, the formula enhances youth collagen for powerful anti-ageing benefits. The brand's patented NIA-114™ technology nourishes the skin's surface to give skin a healthy-looking, radiant complexion, while shielding from environmental aggressors that contribute to premature ageing. Promoting smoother, brighter-looking skin, this anti-ageing formula helps to visibly reduce the appearance of crow's feet, deep set wrinkles and dark circles. It utilises next-generation ingredients to illuminate skin and contains patented NIA-114™ technology to help strengthen the delicate eye area and diminish signs of dehydration. Delivering brightening and smoothing properties, it will visibly reduce lines around the eyes, and alleviate dark circles and puffiness with optical diffusers that reflect light to counteract dark shadows. 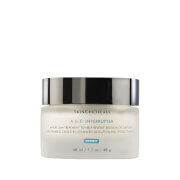 Intensive Concentrate: Apply this product all over clean face, avoiding the eye area. Use it morning and night, gently massaging into wrinkle-prone areas. For stretch marks, apply morning and night on clean skin, massaging into targeted areas. 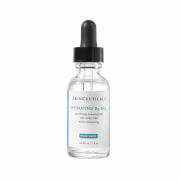 Eye Concentrate: Apply on clean skin, after serum. Apply in the morning and at night. Gently pat around orbital bone. Intensive Concentrate: Aqua (Water, Eau), Glycerin, Myristyl Nicotinate, Butyrospermum Parkii (Shea) Butter, Isocetyl Stearate, Isodecyl Neopentanoate, Dimethicone, Glyceryl Stearate, Hydrogenated Vegetable Oil, PEG-100 Stearate, Propanediol, Butylene Glycol, Cetearyl Alcohol, Behenyl Alcohol, Polyacrylamide, Palmitoyl Hexapeptide-12, Palmitoyl Tetrapeptide-7, Palmitoyl Tripeptide-38, Panthenol, Bisabolol, Aloe Barbadensis Leaf Juice Powder, Zingiber Officinale (Ginger) Root Extract, Methylglucoside Phosphate, Copper Lysinate/Prolinate, Resveratrol, Hydrolyzed Hyaluronic Acid, Cyathea Medullaris Leaf Extract, Phaseolus Lunatus (Green Bean) Seed Extract, Rutin, Arachidyl Alcohol, Caprylyl Glycol, Saccharide Isomerate, C13-14 Isoparaffin, Ethylhexylglycerin, Hydroxypropyl Cyclodextrin, Cetyl Hydroxyethylcellulose, Ceteth-10 Phosphate, Dicetyl Phosphate, Arachidyl Glucoside, Laureth-7, Aminomethyl Propanol, Dipotassium Phosphate, Xanthan Gum, Glyceryl Caprylate, Cinnamic Acid, Levulinic Acid, Sodium Levulinate, Stearic Acid, Lactic Acid, Tetrasodium EDTA, BHT, Parfum (Fragrance), Mica, CI 77891 (Titanium Dioxide), CI 77491 (Iron Oxide), Citric Acid, Sodium Citrate, Phenoxyethanol, Benzyl Alcohol, Benzoic Acid, Sorbic Acid, Chlorphenesin. Eye Concentrate: Aqua (Water, Eau), Butylene Glycol, Myristyl Nicotinate, Cyclopentasiloxane, Caprylic/Capric Triglyceride, Glycerin, Isocetyl Stearate, C12-15 Alkyl Benzoate, Glyceryl Stearate, PEG-100 Stearate, Bisabolol, Myristyl Myristate, Pentylene Glycol, Dimethicone, Ethylene/Acrylic Acid Copolymer, Squalane, Caffeine, Arachidyl Alcohol, Acrylamide/Sodium Acryloyldimethyltaurate Copolymer, Malus Domestica Fruit Cell Culture Extract, Plankton Extract, Nannochloropsis Oculata Extract, Zingiber Officinale (Ginger) Root Oil, Lepidium Sativum Sprout Extract, Caprylyl Glycol, Isohexadecane, Panthenol, Lecithin, Ceramide NG, Urea, Trehalose, Dipeptide-2, Sodium Hyaluronate, Palmitoyl Tetrapeptide-7, Tetrapeptide-21, N-Hydroxysuccinimide, Chrysin, Palmitoyl Tripeptide-1, Parfum (Fragrance), Behenyl Alcohol, Cetearyl Alcohol, Dicetyl Phosphate, Ceteth-10 Phosphate, Polymethyl Methacrylate, Arachidyl Glucoside, Polysorbate 80, Benzyl Alcohol, Xanthan Gum, Tetrasodium EDTA, Benzoic Acid, BHT, Hesperidin Methyl Chalcone, Steareth-20, Sodium PCA, Pullulan, Silica, Hydrolyzed Hyaluronic Acid, Resveratrol, Polyquaternium-51, Triacetin, Mica, Titanium Dioxide (CI 77891), Tin Oxide (CI 77861), Iron Oxide (CI 77491), Aminomethyl Propanol, Sodium Salicylate, Phenoxyethanol, Chlorphenesin, Sorbic Acid.